According to reports, Indian construction company Patel Engineering Works Ltd has won an order for building a 350-km highway connecting Djibouti’s border to Ethiopia, worth nearly $1 billion (about Rs4,600 crore). "Patel Engineering Works has bagged the order worth nearly $1 billion. The work which commenced six months ago is being carried out on a Build-Operate-Transfer basis," consulate general of the Republic of Djibouti in India, Mohamed Idris Saban, told reporters in Bengaluru. When contacted, company officials said Patel Engineering Works was in “advanced talks” and a formal agreement is “yet to be reached”. According to a filing to the Bombay Stock Exchange, Patel Engineering said that it is in an advanced stage of negotiation with the ministry of transport, Djibouti, for infrastructure works. HRD and Co, another Mumbai-based company, has been given an order for a geo-thermal energy project in Djibouti. The deal was a power purchase agreement, said Mr Saban. "We are also looking at tie-ups with Indian computer education firms like NIIT and Aptech to start such institutes in Djibouti and are looking at student-exchange programmes. 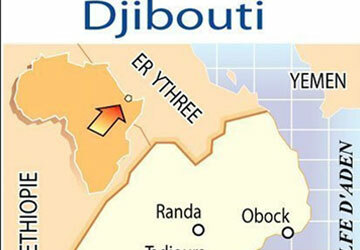 We have almost 750 students in India from Djibouti," he added.